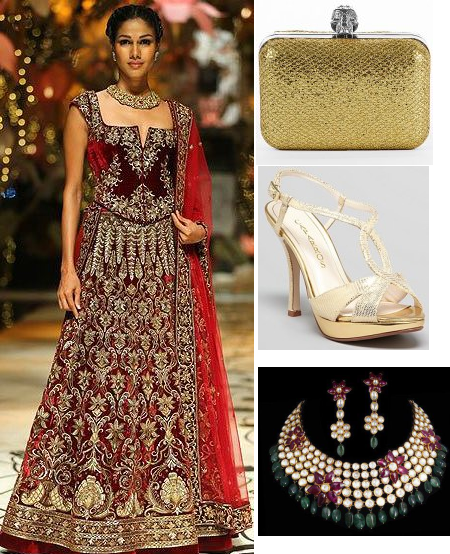 This gold and maroon Rohit Bal lehenga can easily be worn for an engagement function by the bride. It’s got some lovely zardosi work and the blouse design is so different with a wide neck and a ‘U’ shape at the waist. I just love how he has played with the styling. Pair the lehenga with a polki choker with green stones as a contrast. Stick to shades of gold or copper for the shoes and clutch. I’d prefer tying up the hair in a knotted bun and adding an elegant accessory to it so that the neckline is clearly visible. 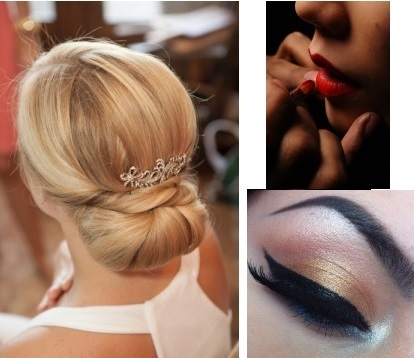 Wear a stunning matte red lipstick with gold eye makeup and make eyes turn towards you!